Niall Horan and Hannah Montana come from completely different eras – if you will – which is why they could actually be the same person. We've come up with one of the most ridiculous theories out there, so bear with us. But, the evidence is mounting and we can't help but see the similarities in the two. It's not only the fact that they are both international celebrities, but smaller details that prove Niall could actually have lived a double life as Hannah years ago. It would have given him the best of both worlds, obviously? So, let's break it down. Again, this is not confirmed but purely speculation that Niall could, in fact, have put on a wig every day and become one of Disney Channel's most popular characters. Starting from the beginning, Hannah Montana premiered on Disney Channel in 2006. Niall was a nobody back then – or so we thought. His X-Factor audition didn't happen until 2010. But, what if HE was actually under the Hannah Montana wig the entire time and loved the fame so much that he decided to audition for the X-Factor as his real self? Do we have Hannah Montana to thank for the completion of One Direction? Not sure, but it's totally possible. I mean, COME. ON. The resemblance is simply uncanny. Niall and Hannah have lots of the same character traits, too. First of all, Niall's real hair color is dark brown. Hannah's real hair color is dark brown. BUT when you think of both Niall and Hannah you think of their blonde hair because that's what they had at first in the public eye. Those signature blonde locks made everyone fall for them. Also, not to mention the obvious, Niall and Hannah are both singers. They aren't just average singers either, they are both super freaking good solo artists. Another similarity that has us convinced that Niall really did lead a double life is the fact that Hannah was from Tennesse and she moved out to Malibu to further her career. Sound familiar? Niall is obviously from Ireland and moved to Los Angeles to further his career. Could Hannah's storyline be based on Niall's real life and what he planned to do with his future? Possibly. Not only that but Hannah continually said throughout the show that she only felt normal when she was home or with her friends. She never wore her wig, she could relax and she wasn't treated like a celebrity. Andddd here's a recent quote from Niall, "No one blows smoke up my a– at home. All my schoolmates, friends from Ireland, I fall right back into that group, and I don't feel like Famous Niall Horan…I live half and half between London and LA. Last year I think I spent less than six days in Ireland, which is nuts. I spent the first 16 years of my life there and now I can barely do a week." HELLOOO this so something Hannah would say. Ahh yes, you're secret is out Nialler, we've really got you now. There's also something else. Remember when Jake Ryan cheated on Hannah and completely broke her heart? Well, Niall's newest single "Too Much To Ask" is about exactly that. Actually, we can't say for sure that it's about cheating but by the sounds of the lyrics and his sad tone, we can infer that someone broke his heart. It's possible he was pulling material from his days living as Hannah Montana. 'Cause if I'm being honest I ain't over you yet." STOP. IT. "Tell me there are things that you regret." That. Line. I don't know about you, but that could be a Jake Ryan reference – just saying. Like, does Jake regret cheating? Does Jake regret breaking Hannah's heart? Niall thinks so because he just wrote a hit song from it. 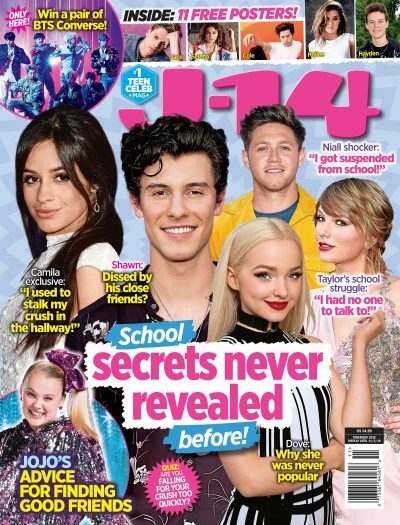 A few smaller tidbits, Niall and Hannah both went to regular school as kids, they didn't become celebrities until they were teenagers, they don't like to publicize their love lives and they are both simple people outside of fame. Hannah loved riding horses and Niall loves playing golf. We've also noticed that in the Hanna Montana Movie, Hannah has a love interest that looks like young Niall. Coincidence? We think not. Niall obviously knows he has good looks so he definitely wanted someone cast that looked just like the real him. You know, just to see the reaction from people. ALSO, why do you think Niall and Selena Gomez are such good friends? DUH, because they met each other when back when Selena guest starred on Hannah Montana. Hannah and Selena's character, Mikayla. Honestly, I could go on and on. It's important to note that we aren't saying Niall is still leading this double life today but the fact that he did lead it when Hannah Montana was still around. Before he claimed his own fame, he had already gone through this process of being on Disney Channel and of being a singer in the form of Hannah Montana that he wanted to shed his Hannah Montana coat and become the person he is today and we're so glad he did. Seriously, if this could ever possibly be true in the weirdest way, most outrageous universe ever, then Niall really gave us the best of both his worlds. So, thanks, dude.